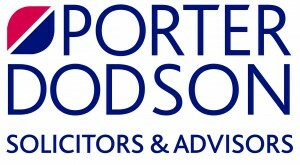 Our December sponsors are Porter Dodson, which is a top 200 UK law firm based across Somerset and Dorset. 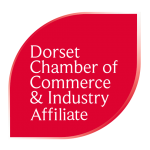 Thanks to Porter Dodson for sponsoring our President’s Christmas Breakfast which is going to be at the Athelhampton House on the 11th December. President of the Dorchester Chamber for Business and Partner at Porter Dodson spoke to us about the success of being a firm in Dorchester and why the chamber helps the business. The December Presidents Breakfast is a special holiday-themed networking event, why did you choose to sponsor the networking breakfast? Just because it is such a special event. The ability to talk about how the current year has gone and the challenges and opportunities in the coming year always makes for great conversations and Athelhampton House has a wonderful Christmas feel to it which everyone seems to like. Could you tell us about Porter Dodson and the services you offer? What do you think makes Porter Dodson thrive in Dorchester? By working hard at providing an outstanding service and never forgetting we are part of the local community, both as a business and as individuals. Dorchester rewards those who engage with it, and we never forget that. Why is Porter Dodson a member of the Dorchester Chamber for Business? Incredible President! But seriously because we enjoy being part of the success story that is the Chamber. I am regularly told it is the friendliest and most interactive group, with new members and attendees introduced to everyone. The range of venues is also important, providing an interesting and always changing place to meet. What is the future for Porter Dodson? Continuing to do what we do. Investing in our people, and the processes and technology which support them, allowing us to continue to provide a service which 96% of our clients recommend to other people. Never forgetting how important it is to remain true to our local roots. Are there any comments you’d like to add? If you’ve not joined the Chamber yet, do it. It will make a massive positive difference to your business, providing you with new contacts and opportunities.